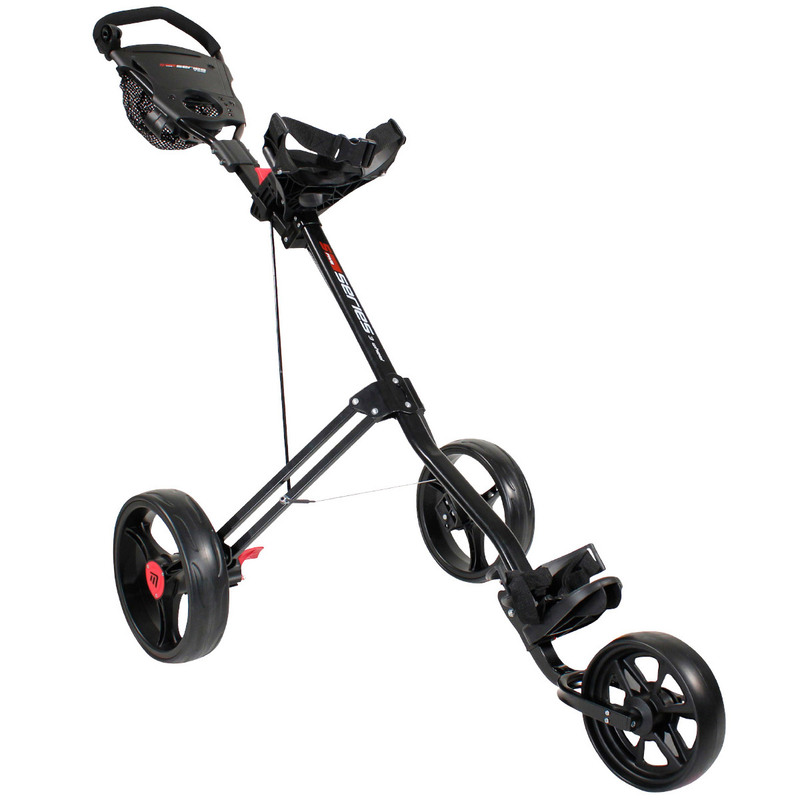 This push cart is a 3 wheel golf trolley with a sturdy frame and high load capacity. 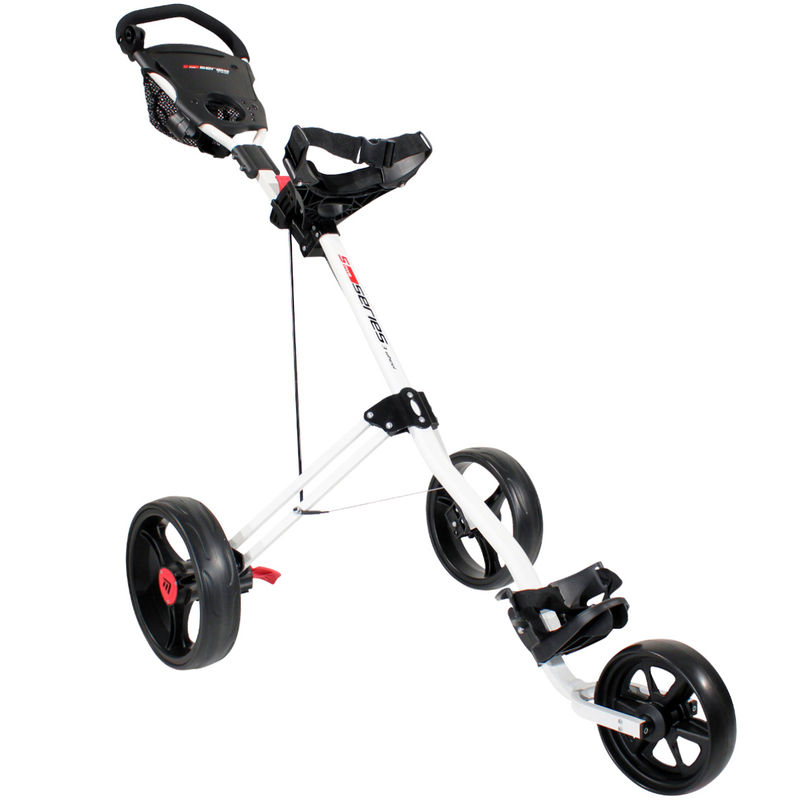 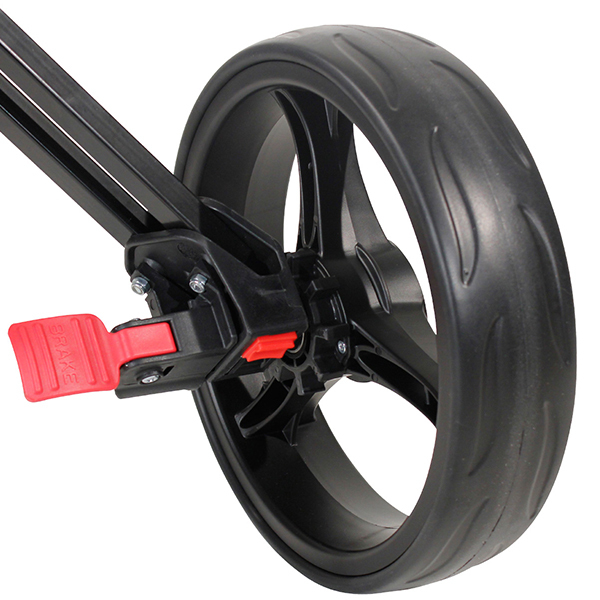 Its design is such that it can support the shape and weight of any cart bag and glide easily over almost any terrain. 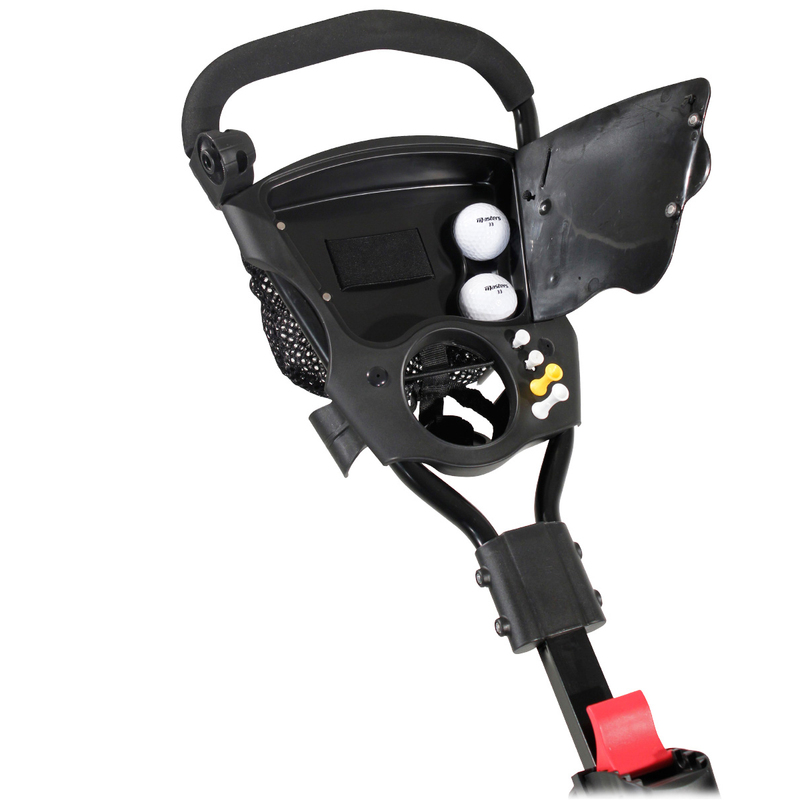 This trolley features a multi function scorecard holder with storage for tees, balls, pencil, small accessories and keys, perfect for keeping everything you need close at hand while on the course. 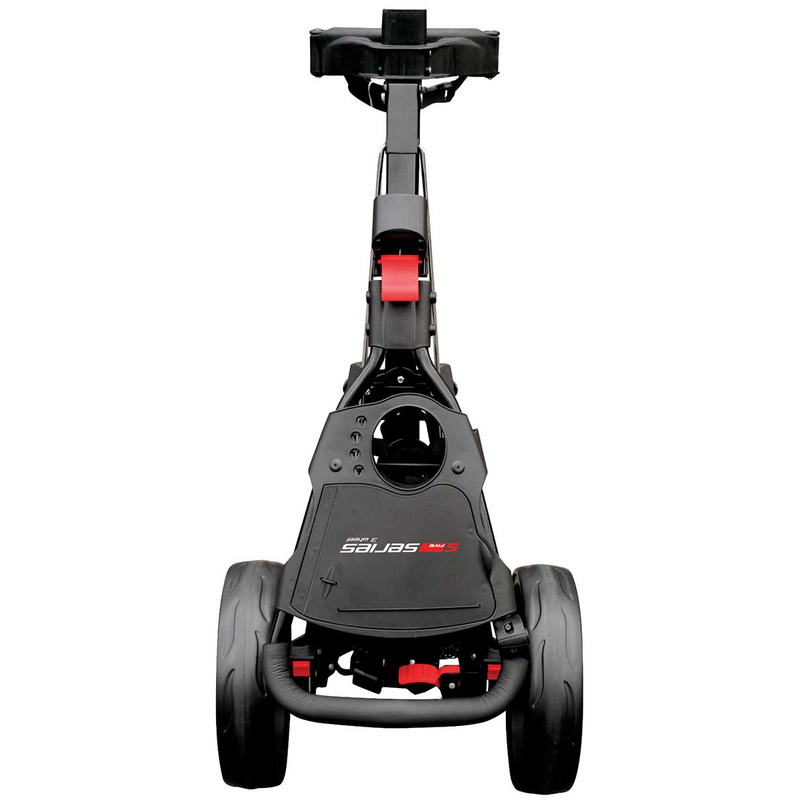 When folded, this brilliant trolley only measures 89 x 39 x 34 cm, making it easy to store in the garage or the boot of your car. 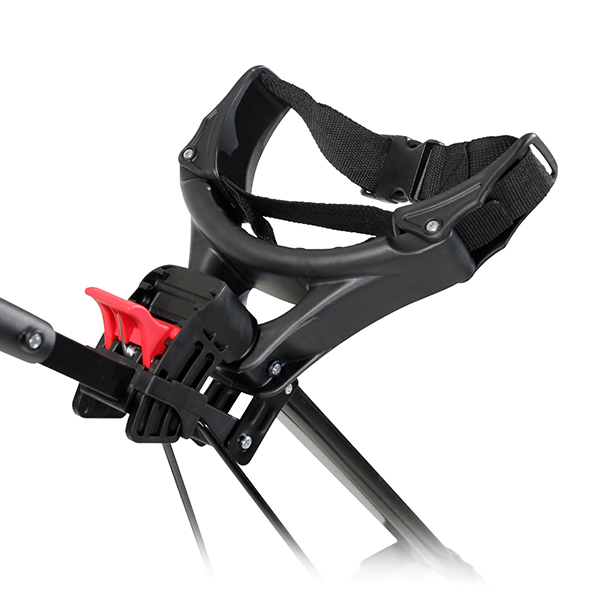 There is also a drinks holder to store your water bottle for quick access when playing. 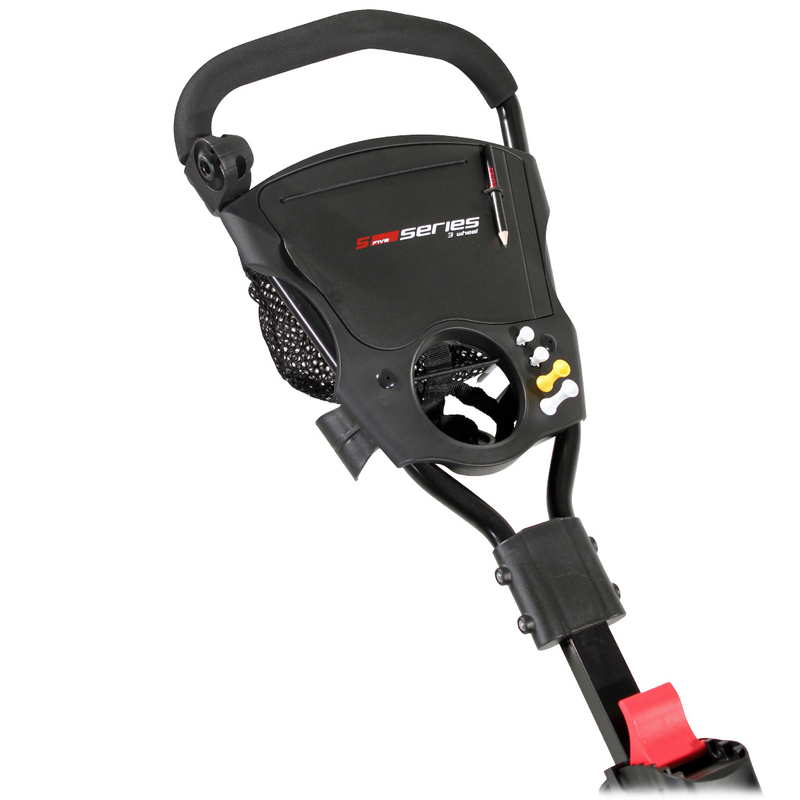 With the weather closing in, why not consider purchasing the Masters Golf iCart Umbrella Holder which fits perfectly into the built-in attachment.